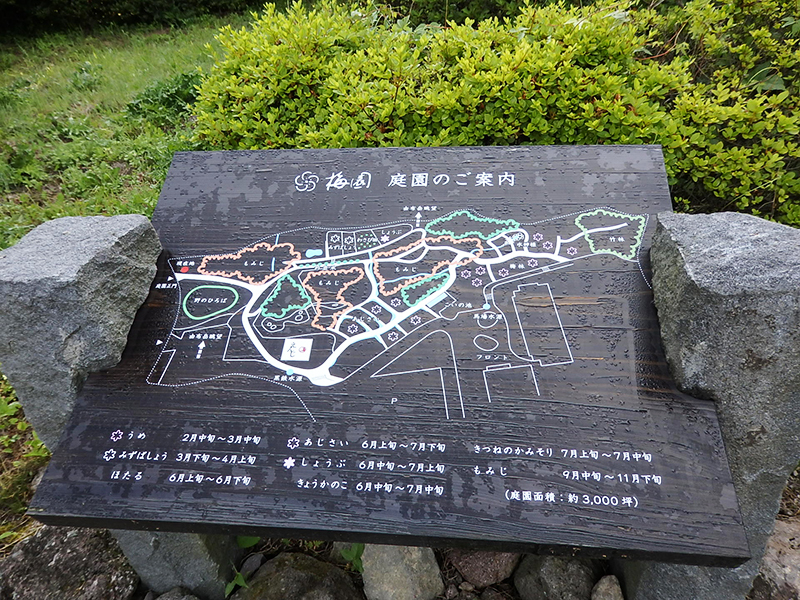 Route 4 is the route taking you back to Fukuoka Airport from Yufuin and Beppu hot spring resorts. 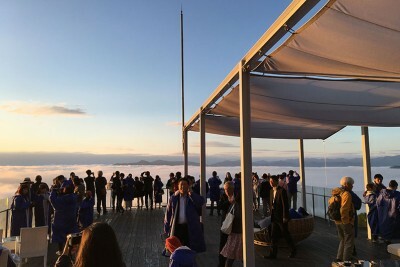 A pleasant strolling through the streets can be enjoyed at the base of the majestic Mount Yufu as there are many fancy shops and luxury hot springs. 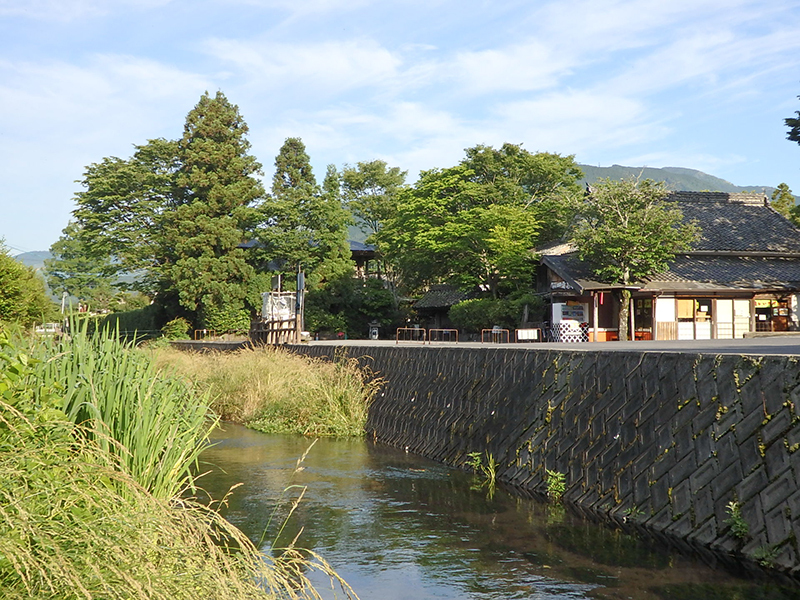 If you veer slightly away from the course, you will find yourself in a hot spring resort with plenty of attractions surrounded by a tranquil and rural landscape. 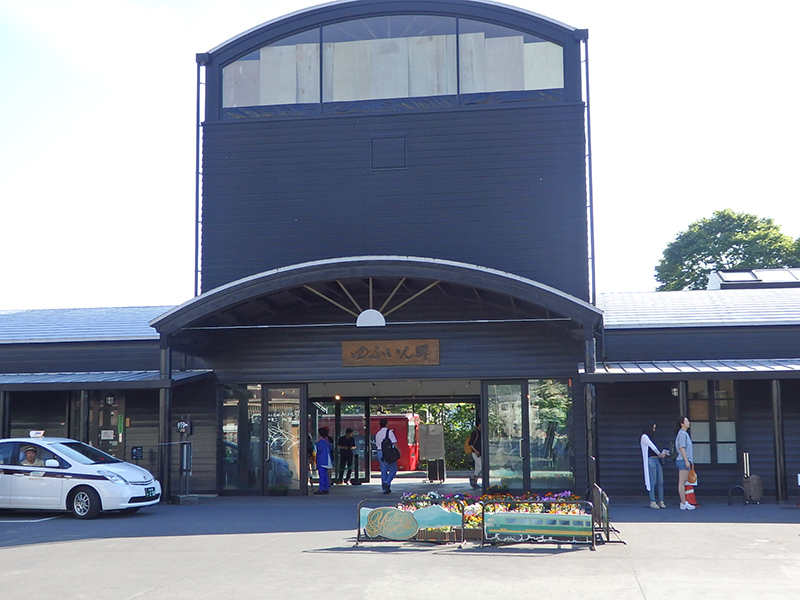 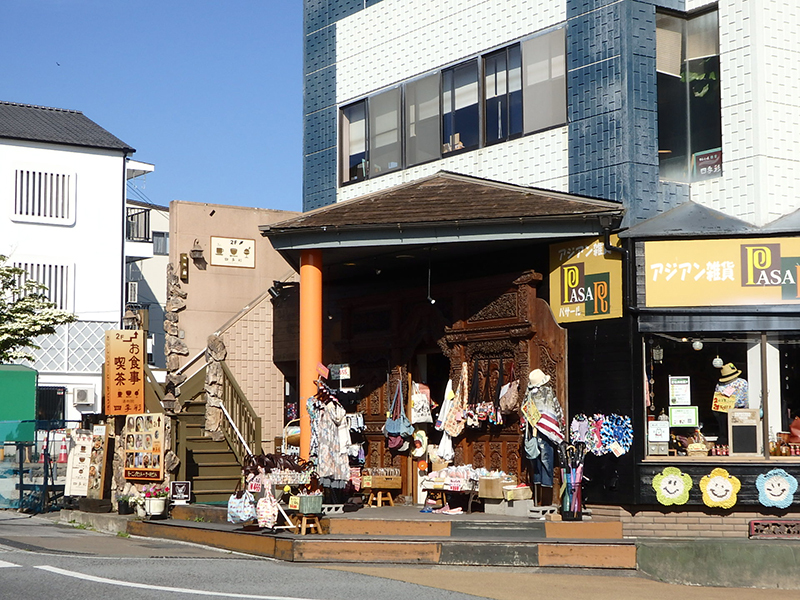 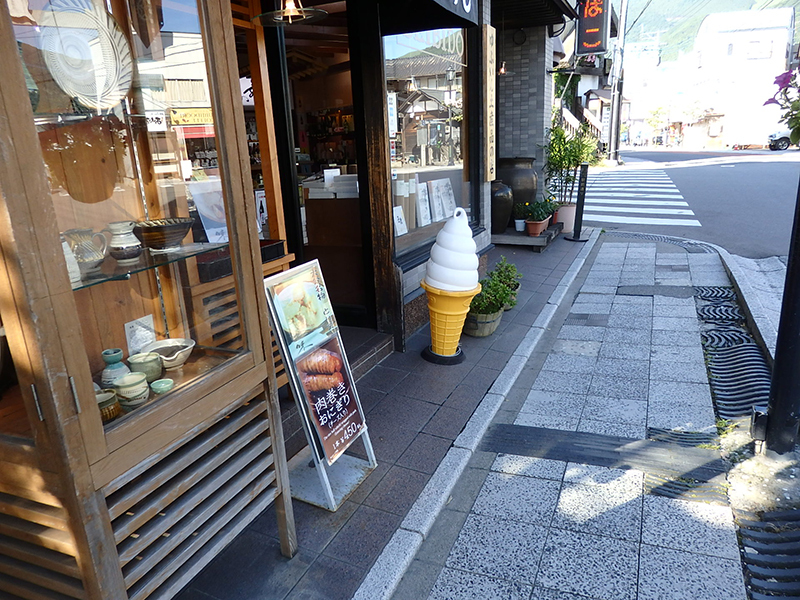 There are various kinds of shops in front of the station. 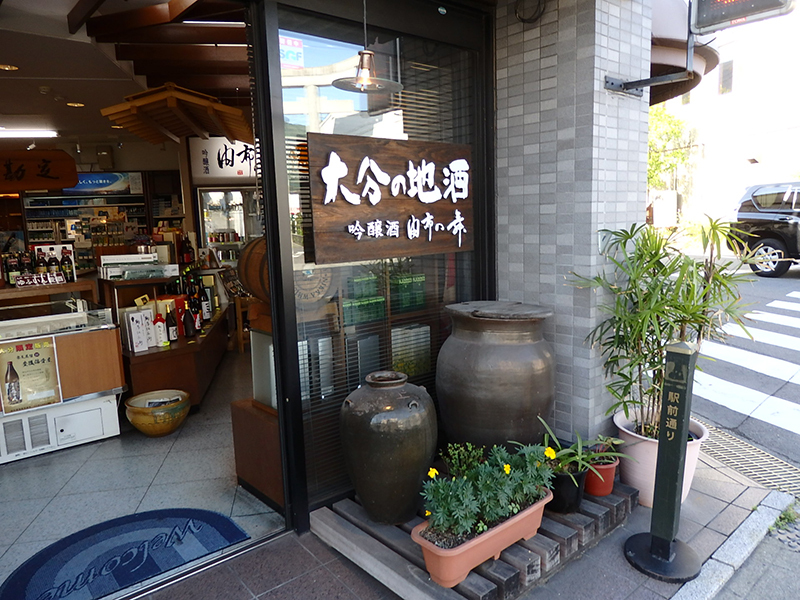 There are also onsen-tamago, the eggs boiled in hot spring water, on sale. 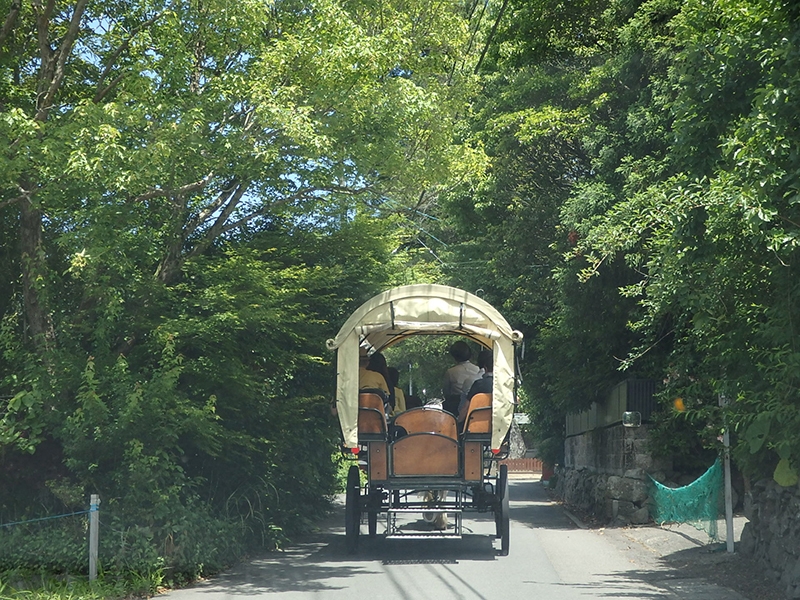 Horse-drawn carriages can also be seen. 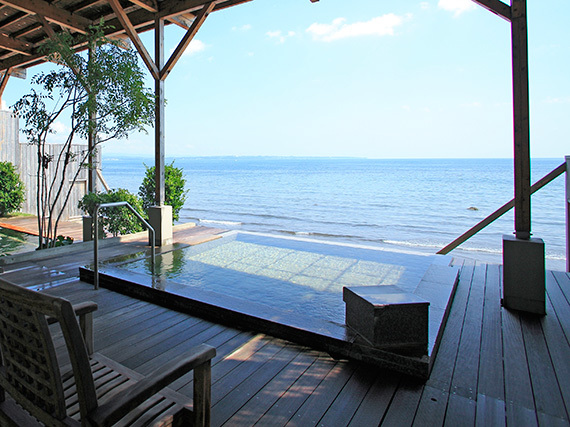 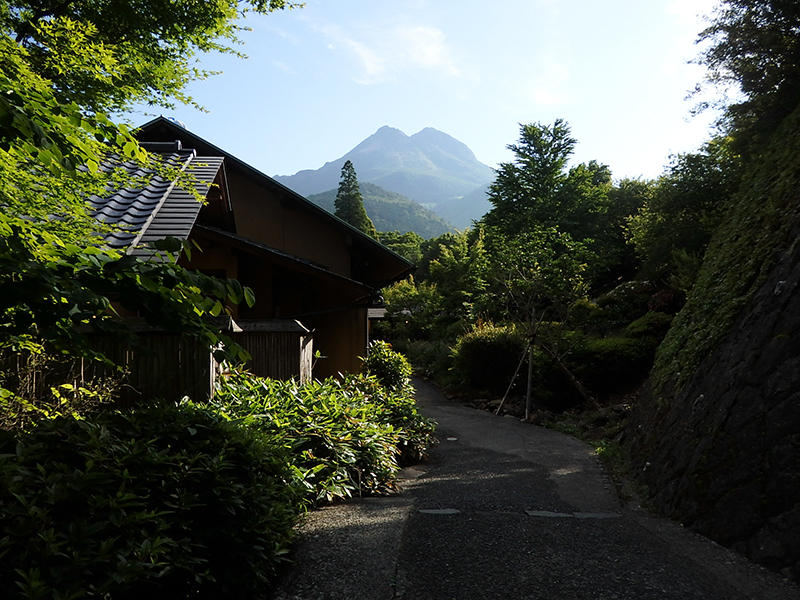 We stayed at Onsen Ryokan”Baien”, an inn introduced and popular in this website with open-air baths. 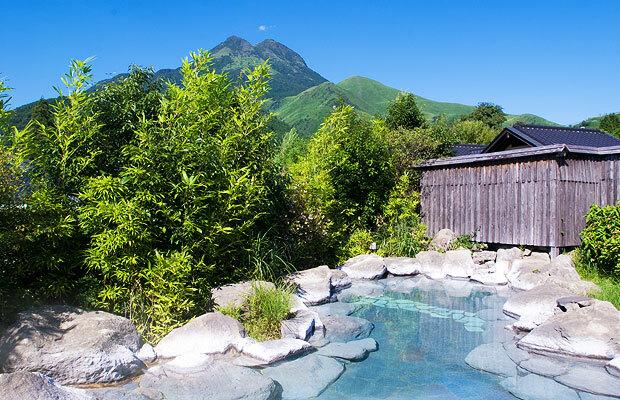 Soaking in an open-air bath while enjoying a view of Mount Yufu is a special experience. 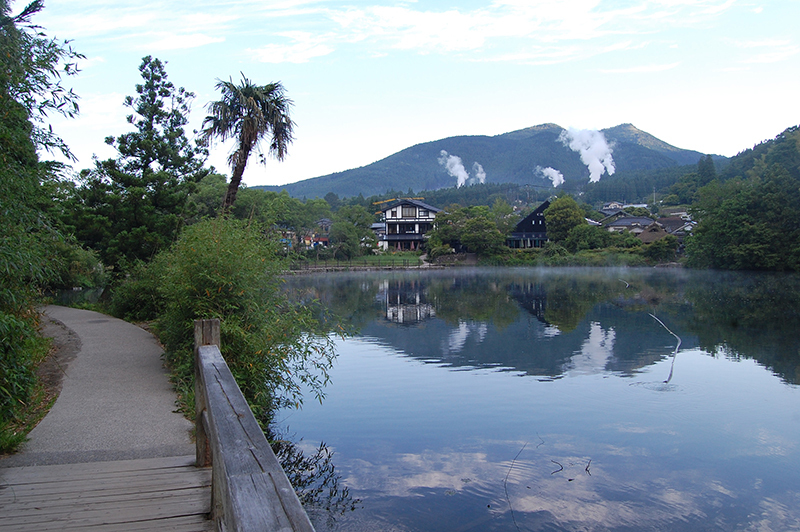 An early morning stroll is recommended if you want to stay overnight at the Yufuin hot spring resort. 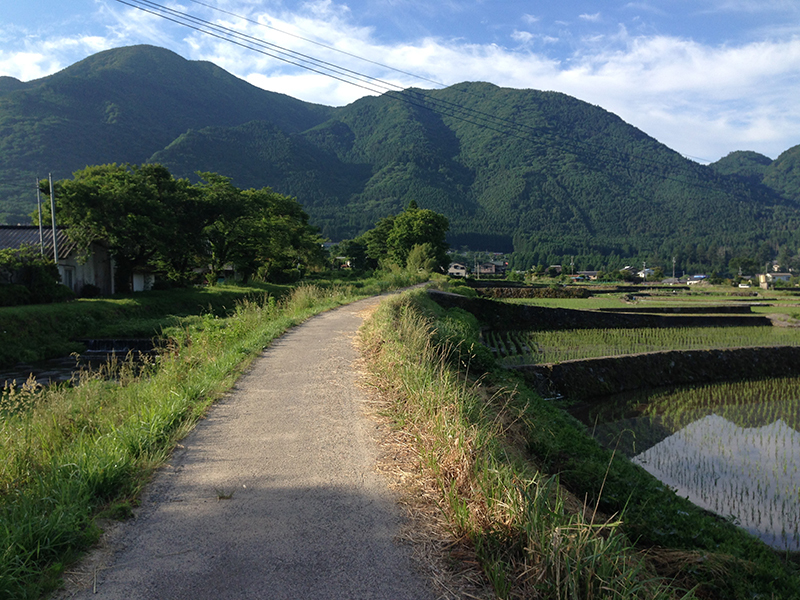 We decided to walk all the way to Lake Kinrin. 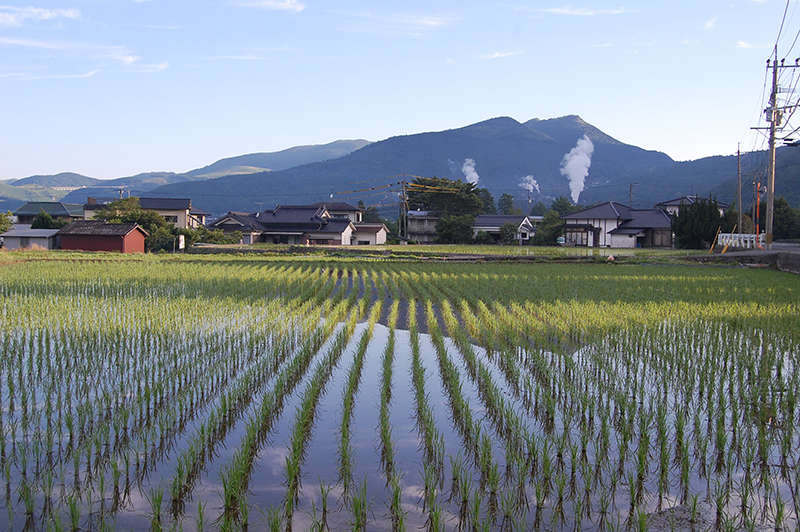 You will be delighted to find he scenery filled with rice fields, old folk houses, and mountains. 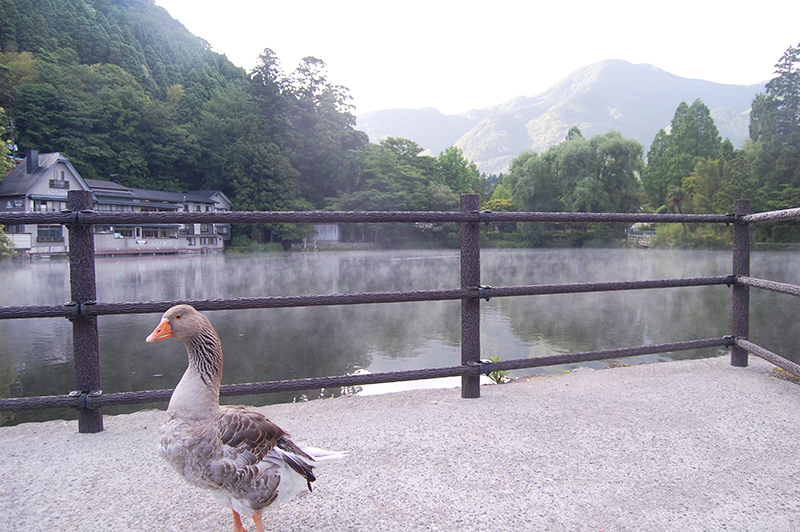 Lake Kinrin is famous for its morning fog. 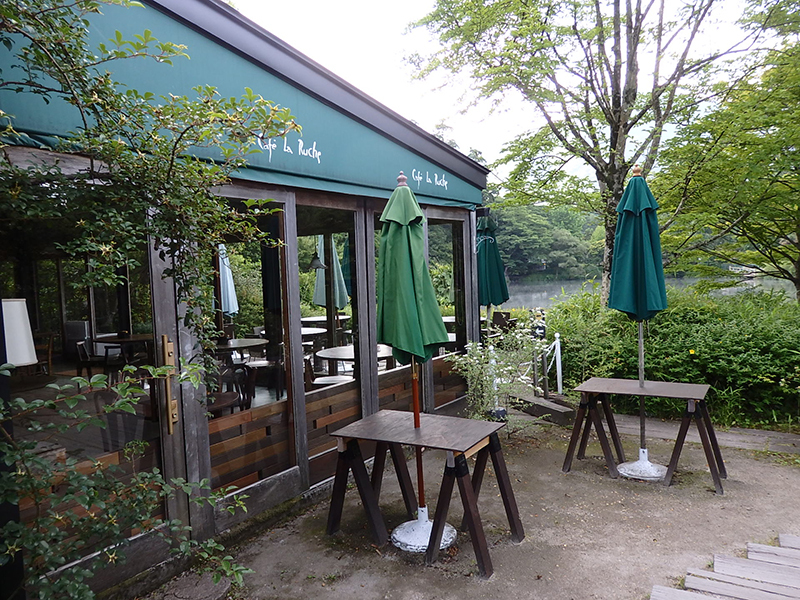 There are also cafes and shops around the lake. 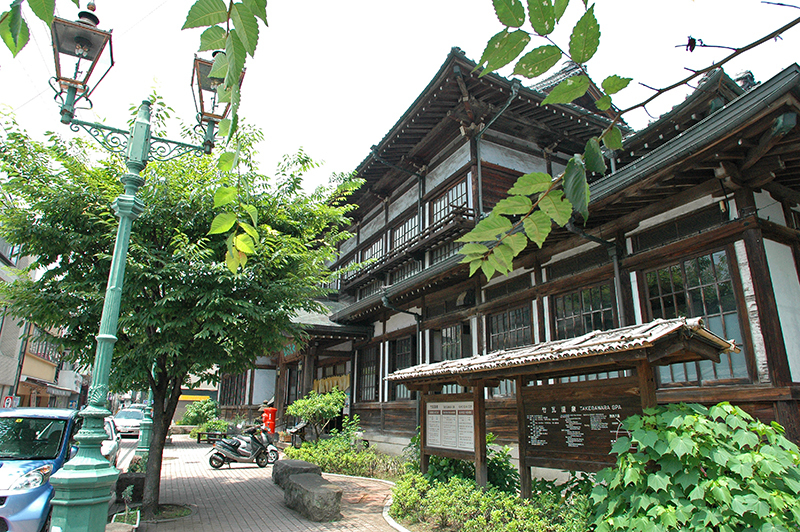 Onsen Ryokan”Ryotei Tanokura” and Nanakawa, the inns popular in this website, began to come into sight as we walk. 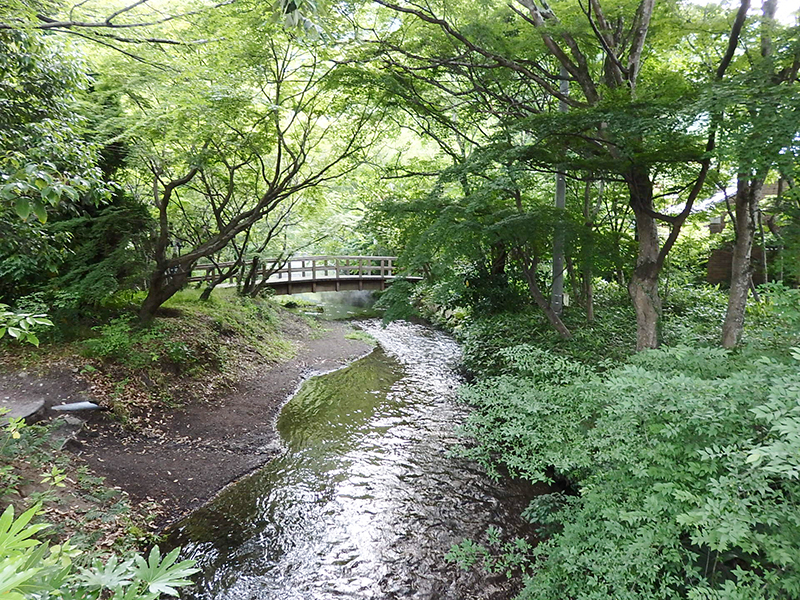 There is also a clear brook as you proceed further. 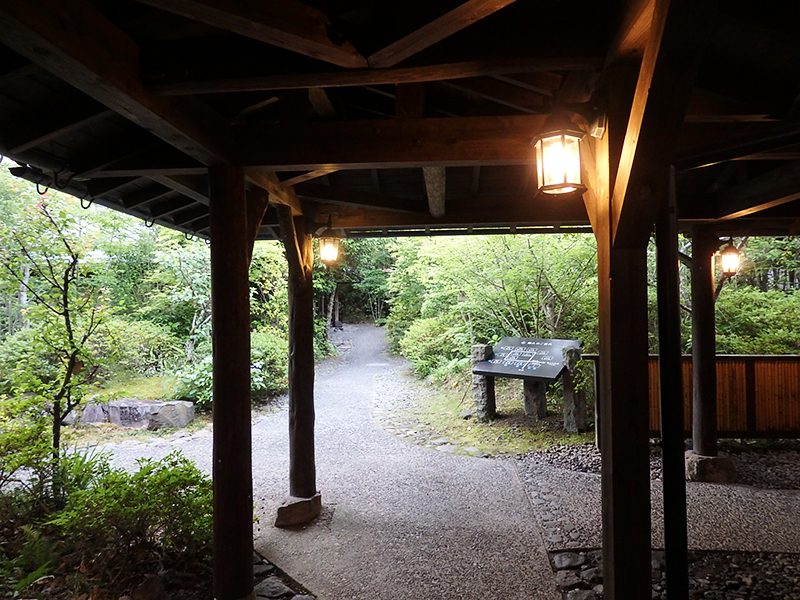 We returned to our inn after roughly one-hour stroll. 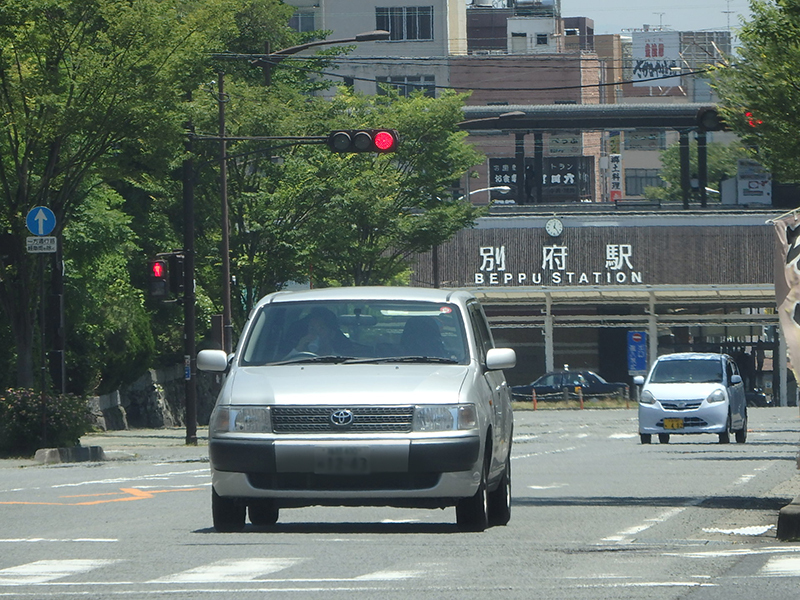 Heading towards the Beppu hot spring resort after breakfast. 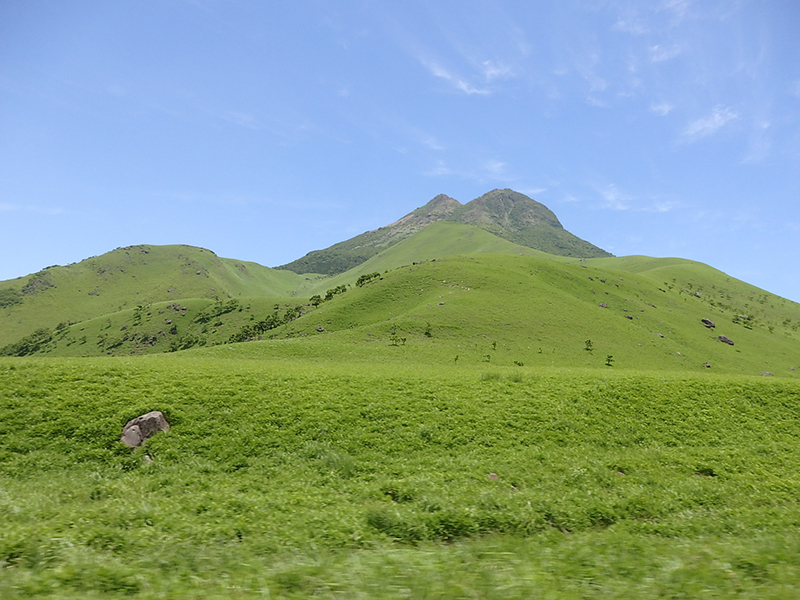 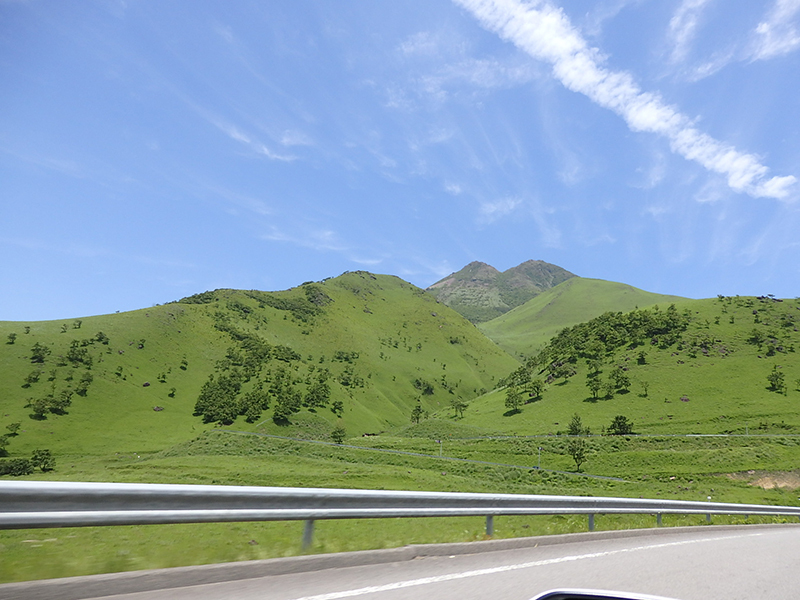 On our way towards the beautiful Mount Yufu. 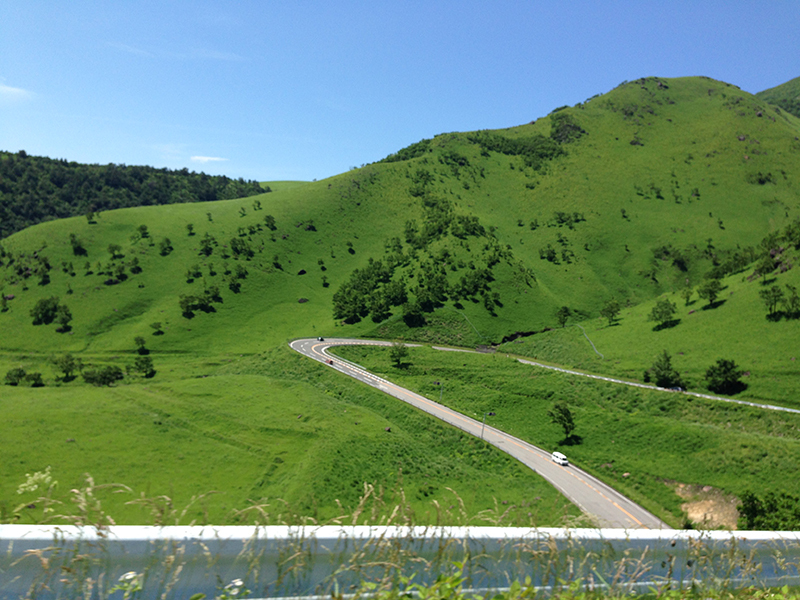 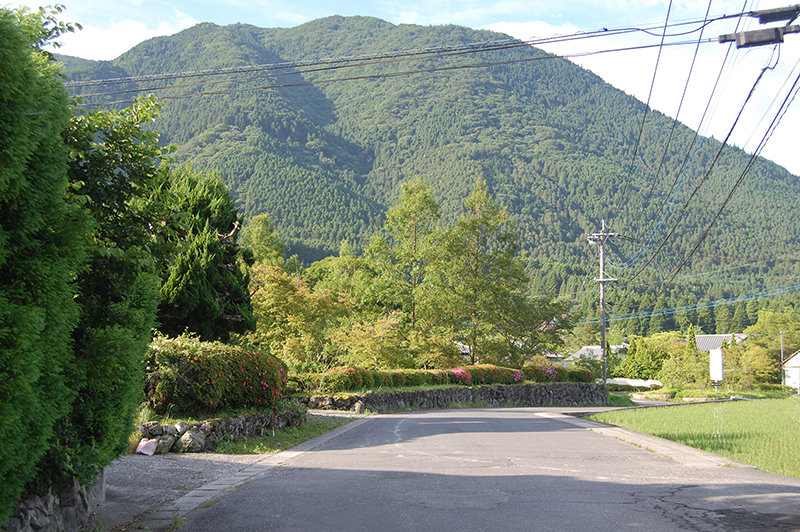 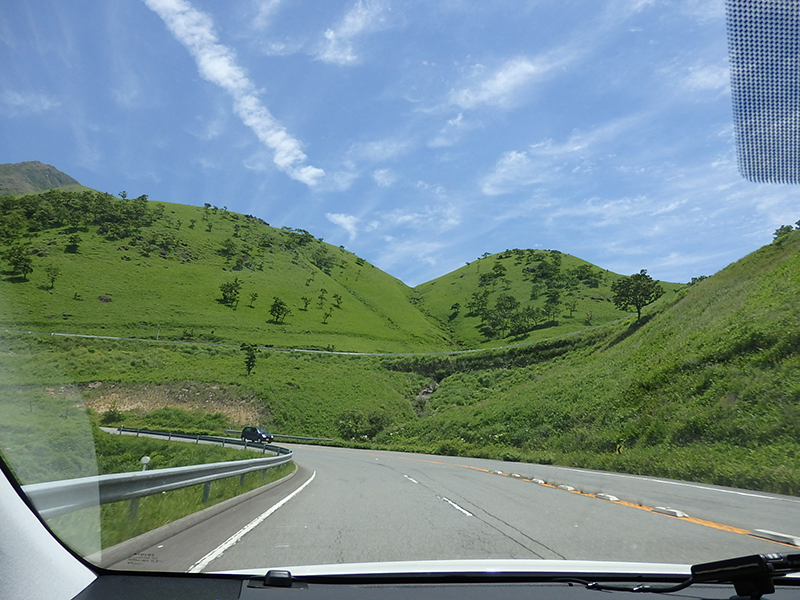 The Yufuin hot spring resort begins to appear as we go up the hilly road. 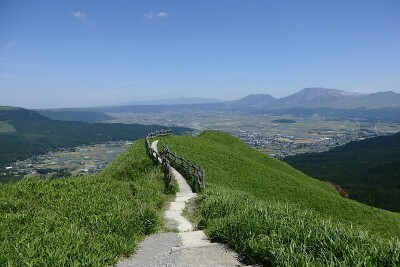 Heading towards the Beppu hot spring resort while enjoying the mountain peak before your eyes. 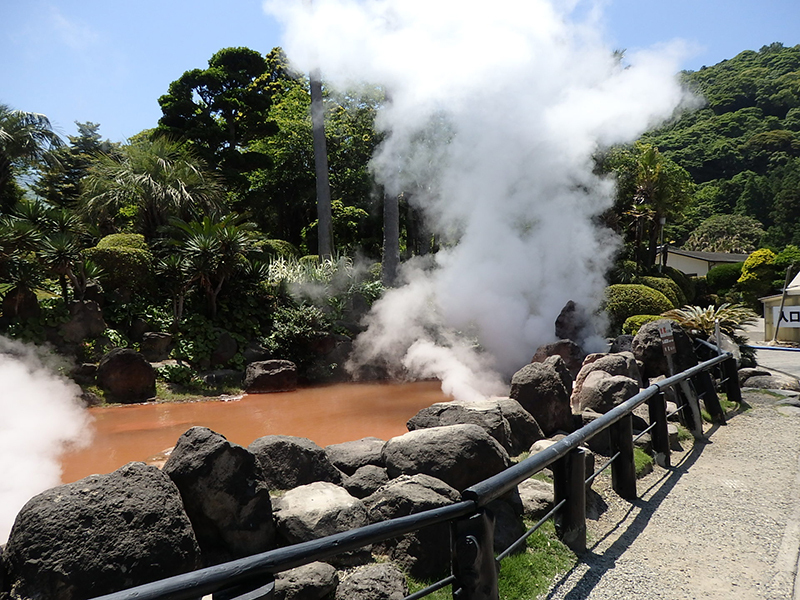 Passing through a scenic road, we arrived at Beppu hot spring resort in thirty minutes after leaving Yufuin hot spring resort. 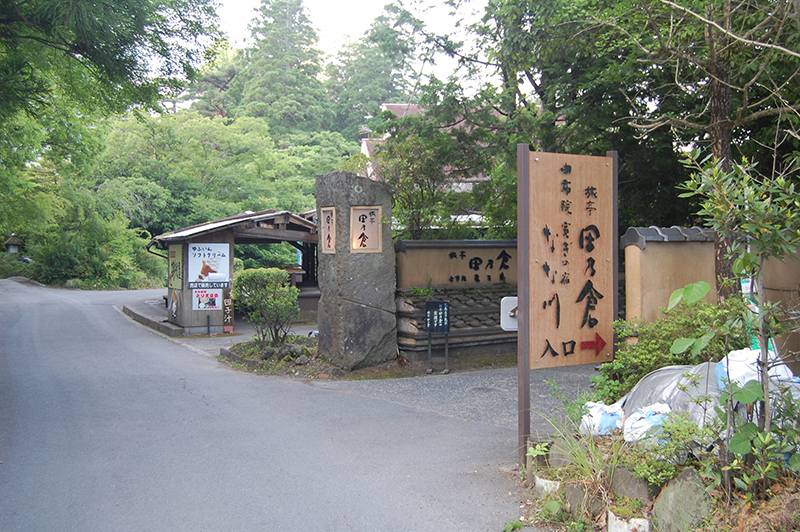 There is an old-fashioned communal hot spring bath, Takegawara Onsen, behind the station. 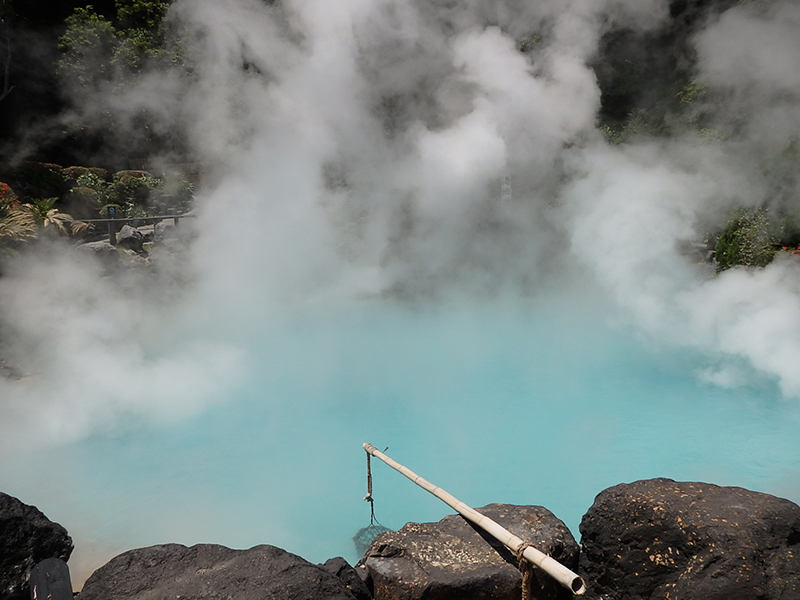 There are 140 communal hot spring baths in Beppu hot spring resort. 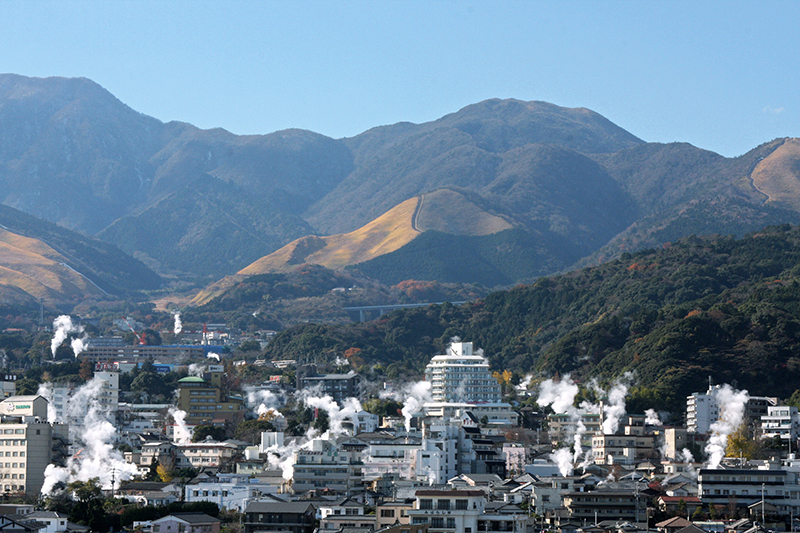 The hot springs area faces the ocean and is near the coast. 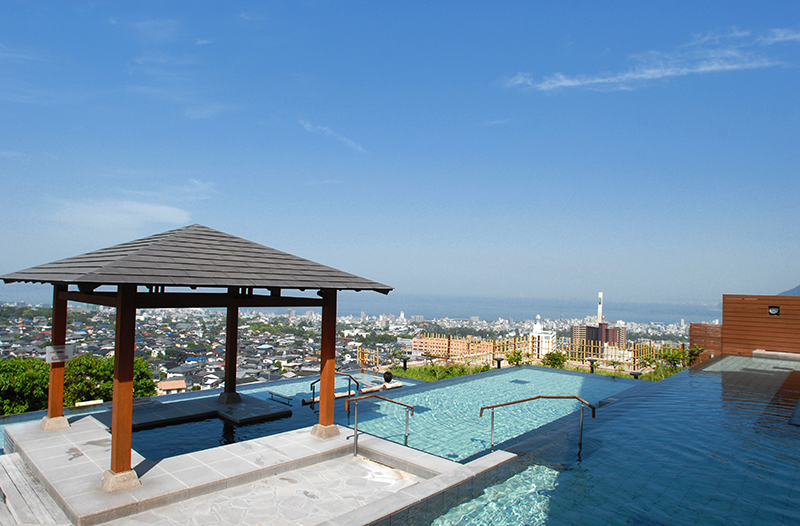 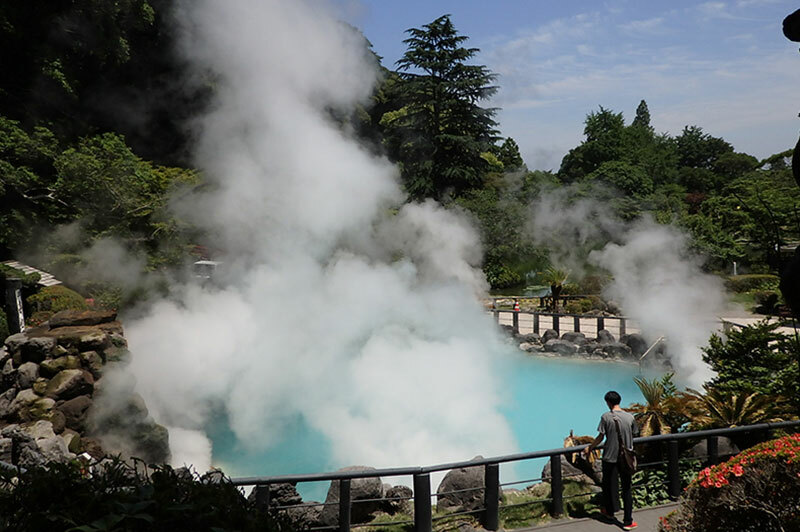 The Beppu hot spring resort boasts the second largest spring water discharge amount in the world. 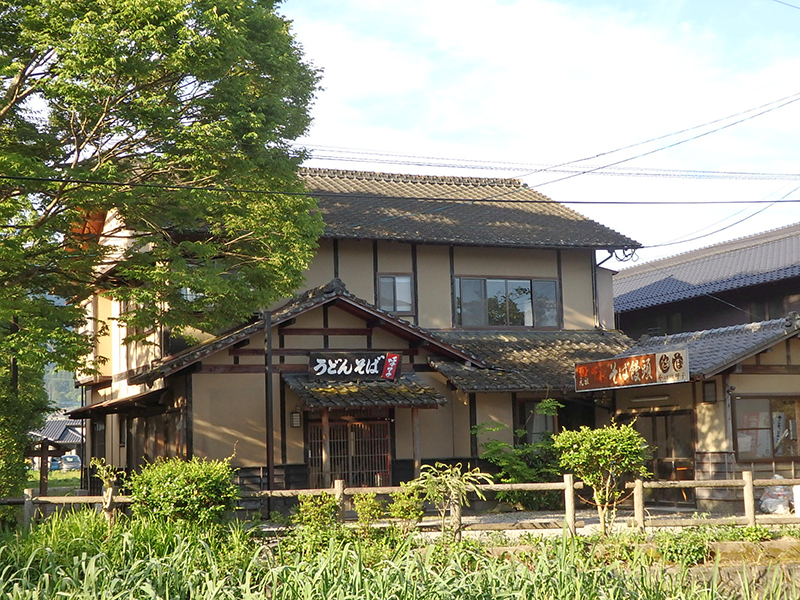 Here, you will find many attractive inns such as the Onsen Ryokan”Suginoi Hotel”, which is famous for its scenic open-air baths. 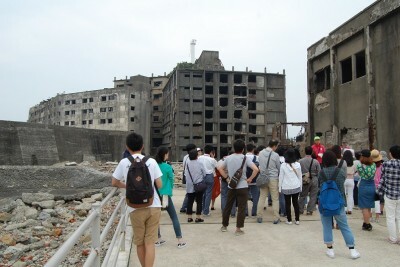 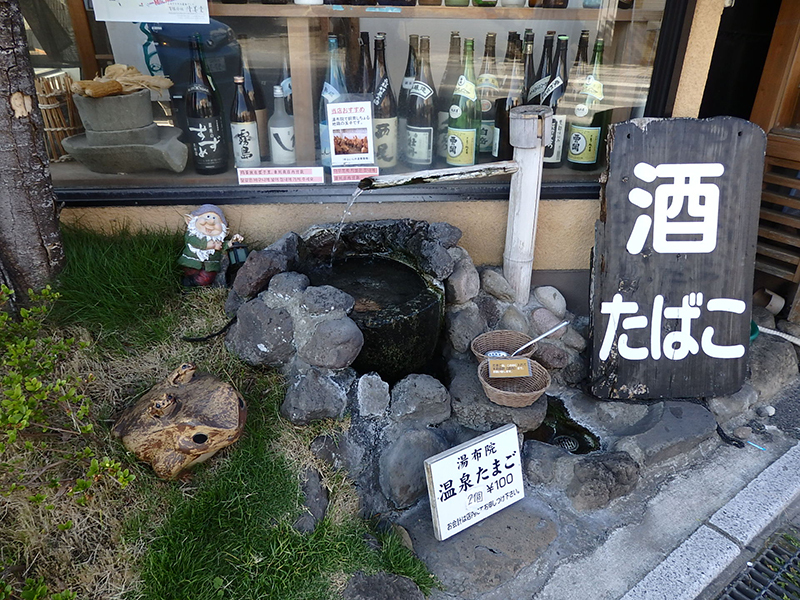 To many, Beppu hot spring means Jigoku meguri (Hell tour). 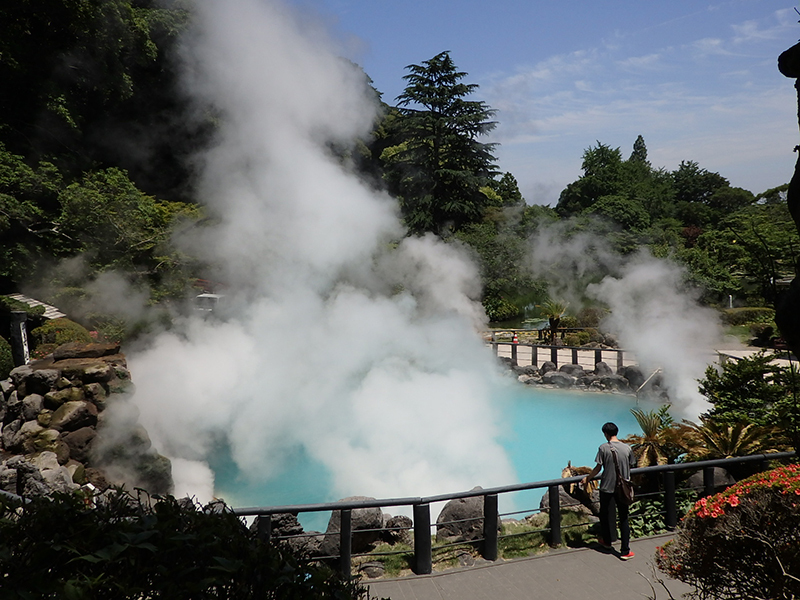 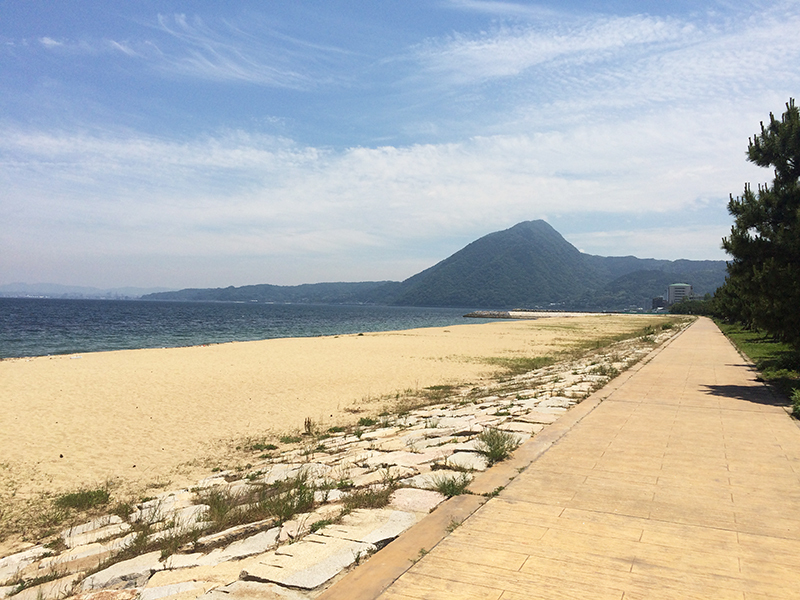 We visited the Umi jigoku (Sea Hell), which is the largest high-temperature hot spring. 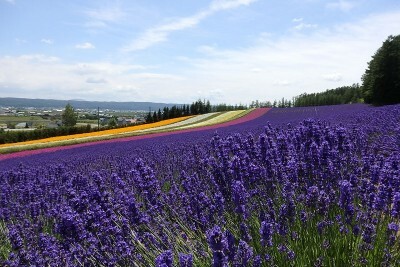 A beautiful blue in color. 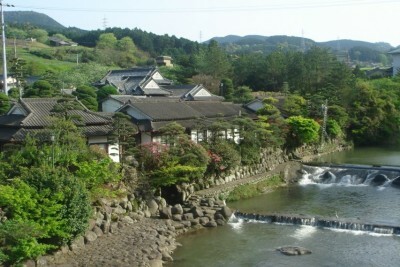 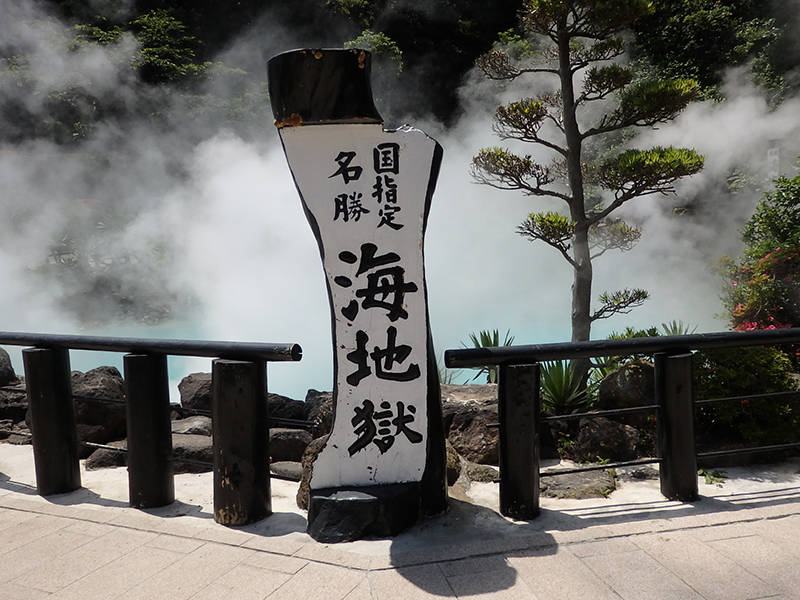 The hot spring water is hot at 98 degrees and can be used for boiling onsen-tamago, the eggs boiled in hot spring water. 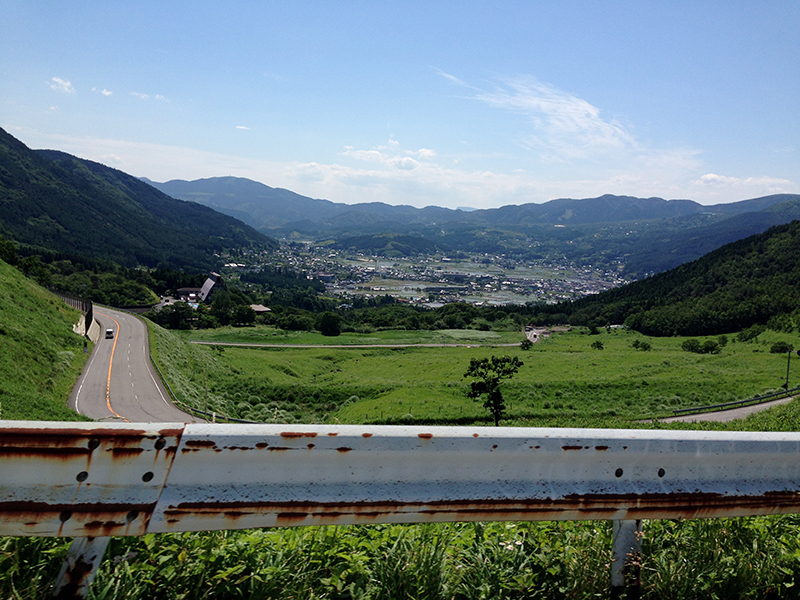 There is also a red jigoku (Hell) here. 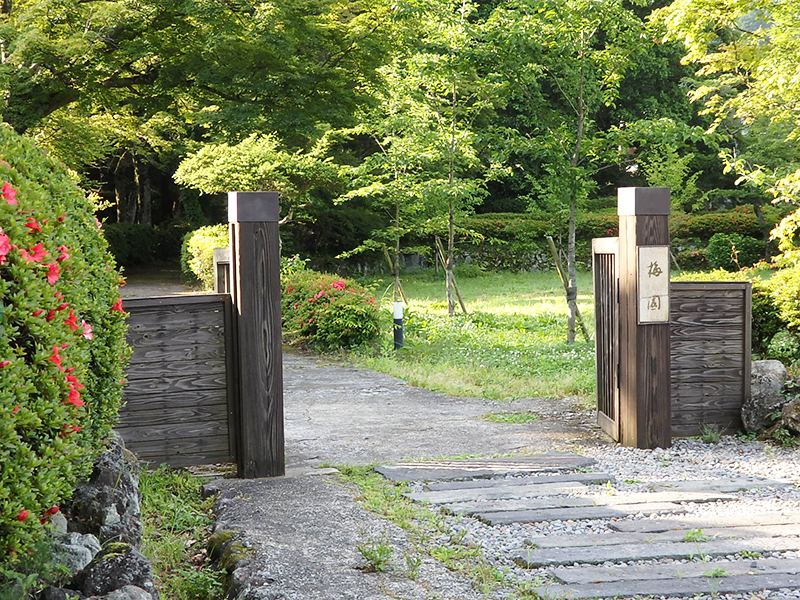 There are also Chinoike Jigoku (Blood Pond Hell), Shiroike Jigoku (White Pond Hell), and Tatsumaki Jigoku (Tornado Hell) nearby. 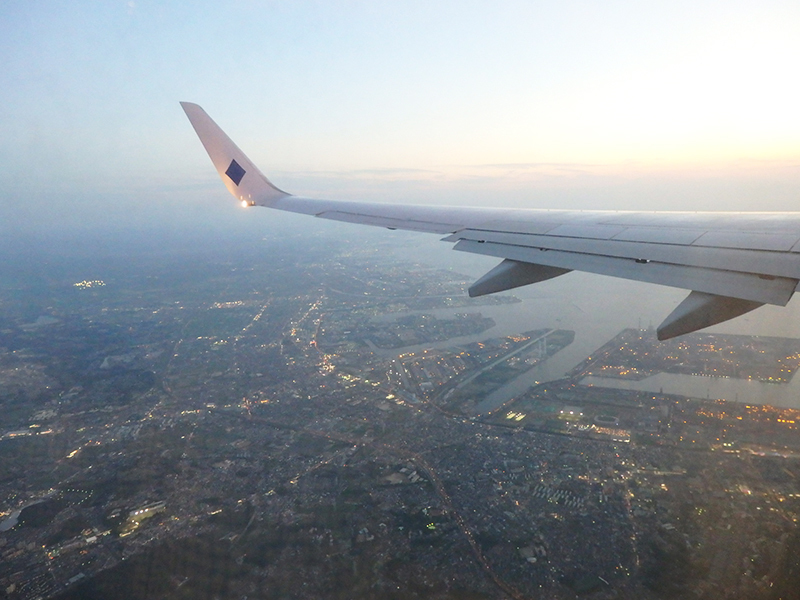 It is now time to return to Fukuoka Airport. 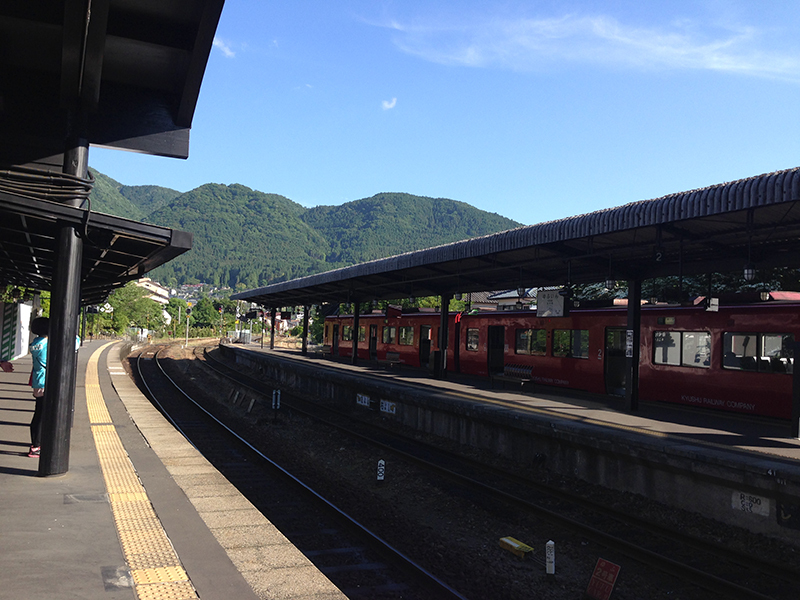 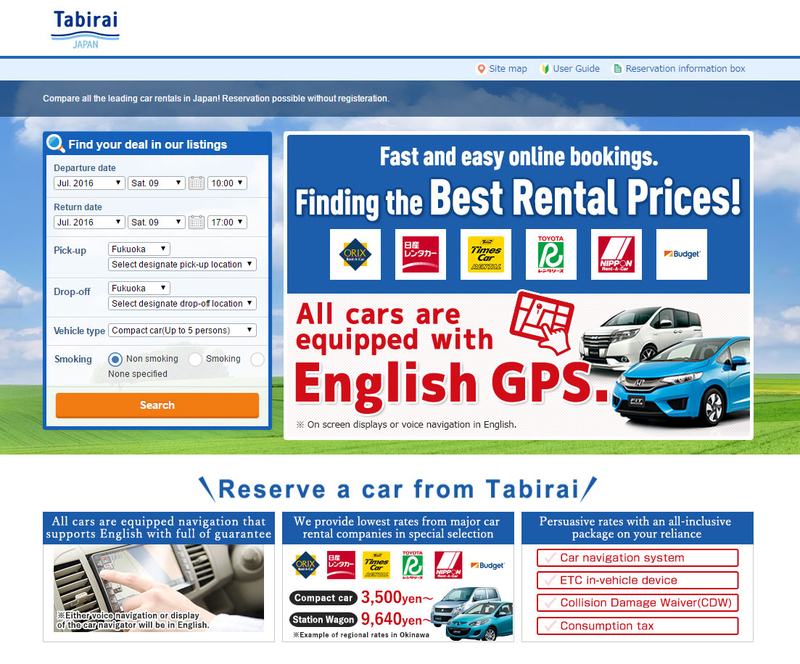 It is about 2 hours to reach Fukuoka Airport from Beppu hot spring resort, taking a highway trip for 145 km in distance. 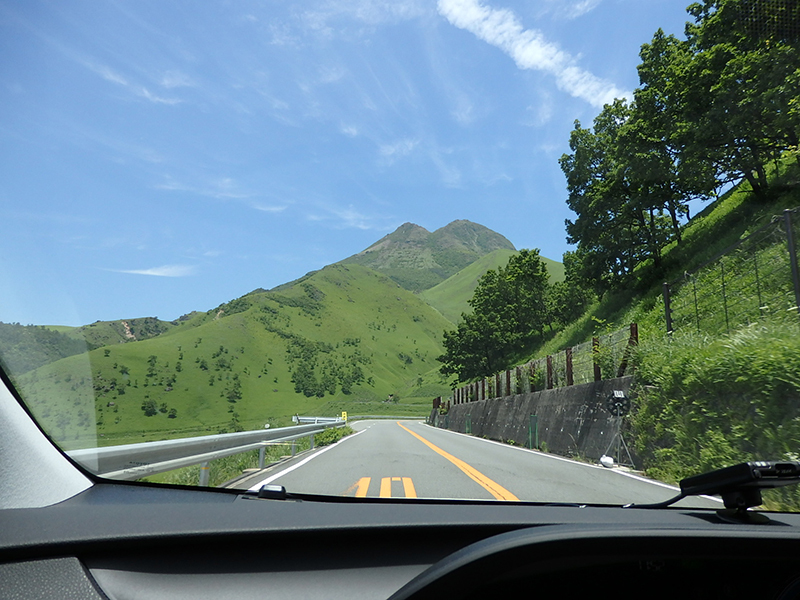 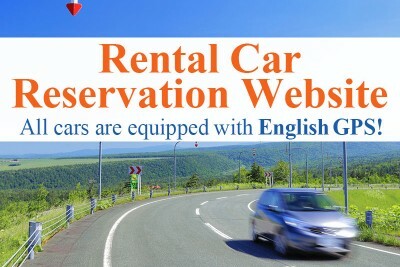 Coming back to Tokyo after returning the rented car at the airport.